Paul Gottfried is not impressed by the Straussian project. His latest book, Leo Strauss and the Conservative Movement in America, is part history, part polemic, and part intellectual version of Mythbusters. For anyone confused by the Straussian debate that occasionally rears its head on our campus, this book is a great place to start, but a terrible place to end. Gottfried presents an adequate overview of the intellectual debate, and the dramatic one-sidedness of his critique reflects well the divide between Straussians and their conservative critics. That said, Gottfried’s overgeneralizations and accusations are tinged with a bitterness that undermines any easy confidence in his judgments. Gottfried’s polemic is less a well-honed blade than a pack of grenades. A book this short might have been better served by a central thesis rather than a general topic. Gottfried spends one chapter on Strauss himself, two on his method and its critique, one on the Straussians’ politics, and the last on the overarching Straussian project. For the uninitiated, the chapters on the Straussian method will prove the most helpful. For veterans, Gottfried’s argument is a familiar one. Planting his flag firmly on the side of the “historically-minded right,” Gottfried criticizes Leo Strauss’ interpretive method, or “hermeneutic,” which Strauss and his intellectual descendants have applied to a plethora of great thinkers from Plato onward. In caricature, this “esoteric” method is based on the idea that great thinkers of the past were often unable to fully express their ideas because of the intellectual oppression of the prevailing tradition or religion. So they hid their true beliefs within more conformist writing, only to be discovered by those who were privy to the secret conversation. Strauss’ own reading of Spinoza, Maimonides, and Plato encouraged his followers to apply this method to many others, with sometimes absurd results. Claiming to speak for critics on the far-right, Gottfried claims that the massive failure of the Straussians and their methodology is their disregard for historical context. Every author writes in a certain time and civil environment for a certain audience, and any assessment of the author’s intention is incomplete without adequate historical knowledge of context or purpose. 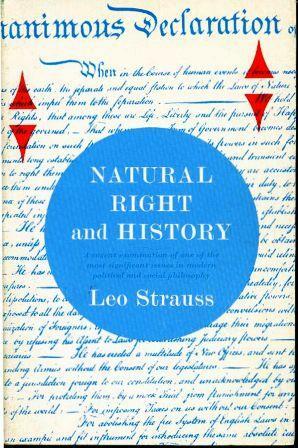 Straussians’ conservative critics prefer particular, historic knowledge to “abstract universal ideals,” such as prescribed, historically-based liberties to abstract natural rights. In terms of the American Founding, Straussians are prone to downplaying the historical influences of Protestantism, for example, and emphasizing the abstract concepts of the Declaration of Independence. Gottfried’s criticism of Straussians themselves, however, is perniciously less precise. At least he is willing to distinguish between Strauss and his students. Leo Strauss, to whose intellectual biography Gottfried devotes an entire chapter, had “greater erudition than his students” and “came out of a richer cultural world.” In many cases, Strauss simply celebrated philosophers without using them for his own political purposes, and his use of his “esoteric method” was more careful than his students’ use. On the other hand, in Gottfried’s mind Straussians are all agnostic, liberal internationalist, neocon, pro-Israel Democrats who only switched to the Republican Party when the Left got soft on foreign policy. Their heroes include, not only Lincoln and Churchill, but also FDR and Woodrow Wilson, and they want to spread democracy to the four corners of the earth. They tend to dominate certain political science departments and publishing vehicles and “thuggishly ignore” the historical right’s critique. Gottfried’s problems go beyond the intellectual to the personal; such an overgeneralization breaks down in under almost any pressure. Because of these gross generalizations, it is tough to separate Gottfried’s criticism from his cynicism as he summarizes the Straussian project. According to Gottfried, the defining characteristic of the Straussian project is not a conservative “march into the past” towards the ancients they so often reference, it is a “celebration of the American present.” Although modernity is full of scary nihilist and historicist philosophy, it has also produced Anglo-American democracy—its “felix culpa” or happy mistake. This form of government, which emphasizes equality and natural rights, is a bulwark against “destructive forms of modernity,” and we must protect it with civics and history lessons on men like Lincoln and Churchill. Consequently, Strauss attacked the new political science for its “value-free” approach, since it undermines its own regime with its own relativism. We must return to the old political science, which recognizes a common good and teaches that “some things are intrinsically high and others are intrinsically low.” Accusing the American Political Science Association of shirking its responsibility to protect American liberal democracy against the USSR, Strauss famously said of the new political science that “it does not know that it fiddles, and it does not know that Rome burns.” That accusation points to an important question in the study of history: can we learn great moral truths from history, or is it just one damned thing after another?